Taya Jarman’s motto is "grow where you are planted," and she has flourished in a variety of roles in Virginia state government agencies. She is responsible for developing the brand and overall strategy for the Virginia Department of Health's VDHLiveWell outreach, the flagship brand for 35 federal programs in Virginia, including Virginia’s women, infants, and children program, Every Woman’s Life free breast and cervical cancer screening, and suicide prevention. Last year, Jarman oversaw a $150,000 marketing budget and led her team to develop and implement a strategic PR program that included public outreach, social media, and online presence. In her previous role at the Virginia Department of Motor Vehicles, she created an award-winning social media program, managed internal communications, and defined the agency’s social media ecosystem through goals, positioning, and channel prioritization. Jarman led the charge for two American Association of Motor Vehicle Administrators’ Public Affairs and Consumer Education (PACE) Awards for social media and newsletter writing. As spokesperson and community outreach coordinator for the Virginia Department of Transportation, she assisted with international media relations and credentialing for Queen Elizabeth II’s visit to Richmond and Jamestown. While climbing the career ladder, Jarman added several degrees and academic coursework. 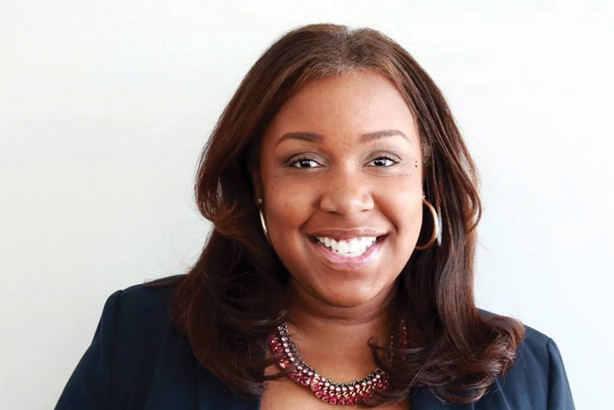 After completing her undergraduate degree, she attended the University of Maryland for a certification in general management PR, and rounded out her education at Virginia Commonwealth University with a master’s degree in strategic PR. She’s continued her education and course work at VCU, University of South Florida, and Johns Hopkins University, and Jarman recently completed her international accreditation in PR. Jarman worked as a consultant for Viacom’s annual BET Awards in LA, where she facilitated multiple celebrity press conferences and organized media placement along the red carpet. She served as a PR adjunct professor at Virginia State University, and has given lectures at Virginia Union University, North Carolina A&T State University, Howard University, and Christopher Newport University. Jarman has won PRSA awards for social media, newsletters, websites, multicultural communications, and creative tactics infographics.